Een knaap liep een dames toilet binnen. I have it on good authority…………….. this is a true story! forecaster the forecast for the next few hours. a fishing pole riding on a donkey, and he asked the man if the fish were biting. palace! In just a short time I expect a huge rain storm." high wages. He gave me a very different forecast. I trust him." So the king continued on his way. King and Queen were totally soaked. donkey's ears drooping, it means with certainty that it will rain." positions of government. The practice is unbroken to this date. Zo staan er twee ezels in de wei. A blind cowboy wanders over to a bar stool and asks the bartender for a shot of Jack Daniels. 2. The bouncer is a blonde girl with a club. Now, think about it seriously, cowboy. Laatst gewijzigd door leo-shof op 20 okt 2018 23:54, 1 keer totaal gewijzigd. 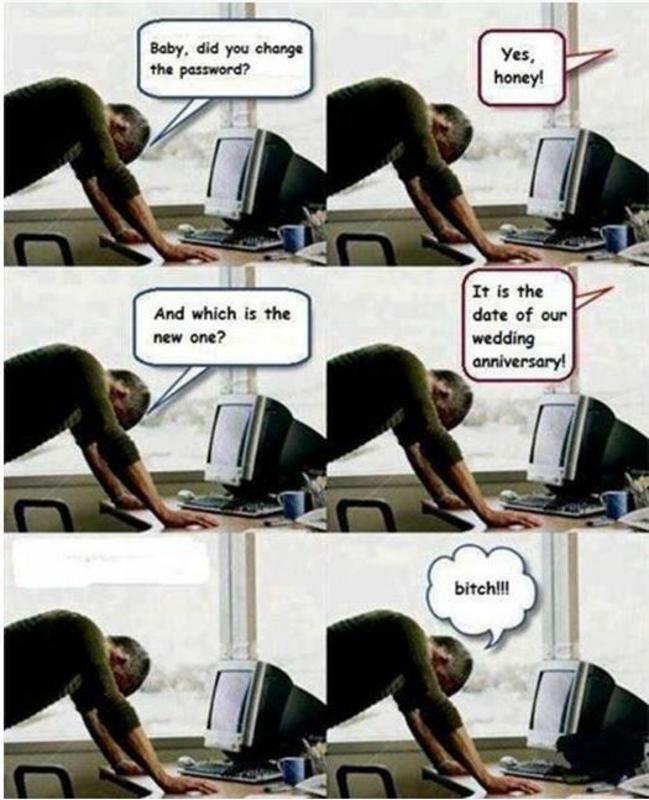 Would You Get Married Again ? WIFE: "Would you take her golfing with you"? WIFE: "Would you let her use my clubs"? on the back of the $5 bill. an average of 6 months waiting at red lights. every letter of the alphabet. on one row of the keyboard. Otherwise it will digest itself. There, now you know everything! Da's een ouwe. De punchline van Max Tailleur was: "SCHAAM JE". The sailor took his first shot missed and said, "F**k, I missed." Surprised, the priest replied, "Don’t use that kind of language or god will punish you." The sailor took aim and hit his shot second shot. Again he missed and under his breath the said, "I f**k’n missed again." The priest overheard and replied, "My son, please don’t use that language or god will punish you." The sailor took his third shot and once again he couldn’t help mutter, "Oh f**k" The priest said, "That’s it god will certainly punish you." Suddenly a bolt of lightning came down and killed the priest. In the distance a deep voice said, "F**K, I Missed."